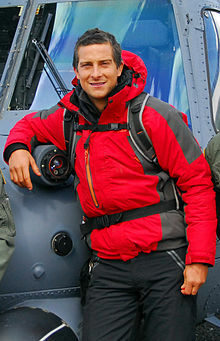 I am in love with Bear Grylls. He has all the answers (and a cute British accent). He gets dropped from a helicopter into the wildest parts of remote areas and has to find his way through the wilderness and into safety, using all the safety skills he has learned over the years. Last week I felt like it was me that had been deposited so suddenly into the wilderness, but unlike Bear I just didn’t feel prepared! David went back to work last week and then BANG! after three glorious weeks of resting in bed or on the couch, enjoying the flow of recovery, soaking in the early days with a newborn, enjoying having more time to just BE with the family – I am suddenly plummeting from a helicopter back into the wilderness of normal life: getting kids dressed, fed, lunches made, out the door, in the car, off to school, kindy, grocery shopping, specialist lessons, back home for cooking and washing and somehow fitting a few moments to change nappies and breastfeed. We were also searching for a new house to live in, our application had not been accepted at a house we liked, and the fear of the unknown was raising its head and dancing about in front of me like a cobra about to strike! Still swimming about in my post-birth hormonal soup, I’m feeling things much more intensely than I otherwise would – and fortunately I have a safety network there: an amazing husband and friends and family who have been helping me in various ways (thanks again! ), but emotionally it was pretty intense. Baby Linden felt it and I am sure that was why she spent most of that week crying. It was too much all at once, and I felt like I just had to let it go … somehow! There were a few things that came to me last week that I didn’t think much of until yesterday – one of those times when you experience enough ‘coincidences’ for you to realise that there is a message in there somewhere. The first was a profound experience of fear when I watched Bear being dropped into the desert in Turkey. I don’t normally get so involved in programs like this, but I noticed myself holding my breath as I watched the show and let it out in relief as we finally saw a glimpse of civilization in the distance. Phew! He did it! He said something about enjoying the journey that had me breathing in relief. 3. Think, analyse and plan. I thought these rules were just as applicable for LIFE, and not only if you found yourself lost in the wilderness. Made me think that ‘wilderness’ is a state of mind. Then later that day I found this link to a you-tube clip about enjoying the journey … that same day a friend gave me some cds she thought I would be interested in. It was a collection of the lectures of Esther Hicks – in the cd I picked up first the main thing that resonated with me was her message :don’t be in a hurry to reach ‘what you want’, stay focussed and enjoy the journey. Then to top it all off, I was responding to a conversation on Facebook by a new mother. I was trying to resist the temptation to give advice (which wasn’t even asked for! ), when her friend added the comment: just enjoy the journey. Are you noticing a theme yet? I made the decision to enjoy the journey, to bob along on top of the waves, to concern myself only with what is in front of me now. I decided to trust others in the process of house hunting, to take moment to sit and hug the kids. Guess what happened? Linden stopped crying, parents have offered to help me with the daily school run, meals have turned up for us on the days I have needed them most, and a dream home became available and we are moving in September. I’ve spent a week fighting the things coming to me, and a week accepting them. It is pretty clear to me which way works best! oh dear! I didn’t see that one!